WSU student pharmacists at the Midyear American Society of Health‑System Pharmacists convention in Anaheim, CA. Leadership opportunities are built into the doctor of pharmacy program at WSU Spokane, some on campus in one of many pharmacy organizations, and others in the national arena where faculty have roles and contacts. 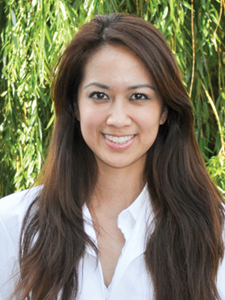 Second-year student Juliet Nguyen was appointed in January to serve a five-year term on the U.S. Pharmacopeial (USP) Convention’s Health Literacy Expert Panel. The panel provides additional expertise to the USP’s Healthcare Quality Expert Committee, which develops and revises health care quality standards related to the use of medications in the U.S.
“As a member of the expert panel, I am looking forward to contributing to the creation of evidence-based public health standards that are far reaching and make a difference in the lives of patients on a national level,” Nguyen said. College of Pharmacy’s Associate Dean Danial Baker is currently a member of the Healthcare Quality Expert Committee. As a pharmacist, Nguyen wants to work in a field where she can make an impact both locally and nationally, but has not chosen a specialty yet. 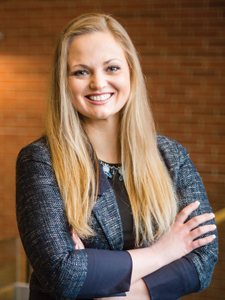 Kimberly Paulson, a student pharmacist in her third year at WSU Spokane, was appointed to a two-year term on the Student Leadership Council for the National Community Pharmacists Association (NCPA). The College of Pharmacy has sent eight students to serve in this national leadership role in the last seven years, including two who served as president of the council. “The goal of the council is to support the development of future leaders in community pharmacy and to recognize student pharmacists who have a strong interest in entrepreneurship and pursuing a career in community pharmacy,” Paulson said. Over the next two years she will be representing student chapters in Alaska, Arizona, California, Hawaii, Idaho, Nevada, Oregon, Utah and Washington. “The experience that I am most looking forward to is the compounding steering committee. I have found it an honor to be the only student pharmacist to sit on this board of influential pharmacists who are experts on this topic,” Paulson said. The committee addresses issues relating to the practice of pharmacy compounding, including the right of pharmacists to compound drugs, legal and legislative concerns, and guidance and education to enhance the practice of furnishing medications to patients with special needs. 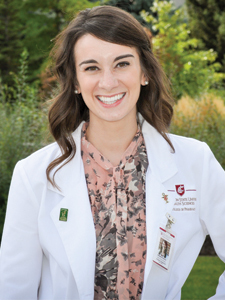 Once Paulson has obtained her doctor of pharmacy degree, she plans to pursue a post-graduate residency specializing in community pharmacy in order to gain experience to further her goal of owning her own independent pharmacy. Third-year student Erin McCarthy is passionate about health care policy. As a result of connections through the College of Pharmacy, McCarthy landed a summer internship with Washington Congresswoman Cathy McMorris Rodgers where she helped the Congresswoman’s health care subcommittee collect and compile information on the key health care concerns and goals discussed during the Congresswoman’s constituent meetings. McCarthy represented the Millennial Republican Task Force for the Congress-woman’s office. The task force developed and implemented creative ideas to bridge generational gaps and better communicate health care policy to millennials. The team’s initiatives included events to educate college-aged students on the basics of insurance programs and seminars on informed decision-making skills. McCarthy has been active in advocacy across both the state and the nation. In February she accompanied pharmacy colleagues from WSU and the Washington State Pharmacy Association to meet with state legislators in Olympia, and has been on several trips to Washington, D.C., for both leadership and advocacy meetings through the American Pharmacists Association, of which she is a member of the WSU student chapter. 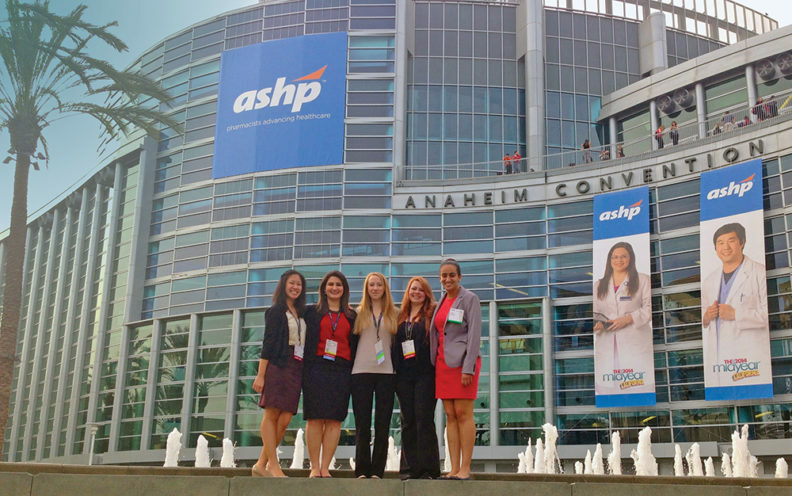 “There is much more to being a pharmacist than passing your North American Pharmacist Licensure Examination, and filling out a license application. To be a pharmacist is to be a leader. 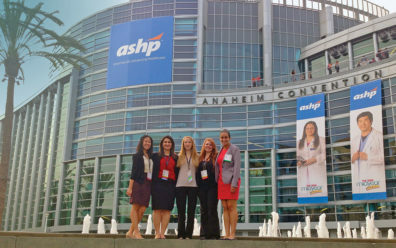 WSU College of Pharmacy really strives to cultivate quality leaders and professionals,” McCarthy said. As a pharmacist, McCarthy plans to work in a hospital and is interested in focusing on operating room pharmacy. She is in the College of Pharmacy Student Ambassador Program, the Kappa Psi Beta Pi pharmaceutical fraternity, the WSU Professional Pharmacy Student Organization, and the American Society of Health System Pharmacists. Kari Gaither traveled to Washington, D.C., this spring as part of a group of 15 early-career scientists from across the U.S. advocating for continued growth in the National Institutes of Health budget. Representing more than 14,000 students, medical residents, clinical and postdoctoral fellows that make up the associate membership of the American Association for Cancer Research (AACR), Gaither shared her thoughts with legislators at the inaugural “Early-Career Hill Day” about what is needed to fully reverse the effects of more than a decade of stagnant funding for scientific research. “The success rates for NIH grants is abysmal and the resulting atmosphere is stifling,” she said. Gaither believes it is so difficult to secure funding and establish a career in research that many people leave the field for more lucrative and/or less demanding career choices. 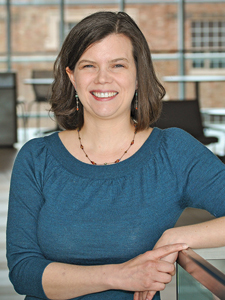 Gaither is currently completing her Ph.D. in pharmaceutical sciences. She is one of two founding members of a WSU chapter of the Association of Women in Science, started in Spokane more than a year ago. Gaither is a National Science Foundation graduate research fellow and is working in the research lab of Assistant Professor David Liu, studying a specific protein called ATF5 and its role in the progression of breast cancer. Gaither is hoping her research will result in novel ways this protein can be targeted in certain cancer cells for treatment.